In other news, I’m sorting through the trip photos for a series of visual essays on stuff I saw and that I hope you’ll find as wonderful as I do. So stay tuned on that. 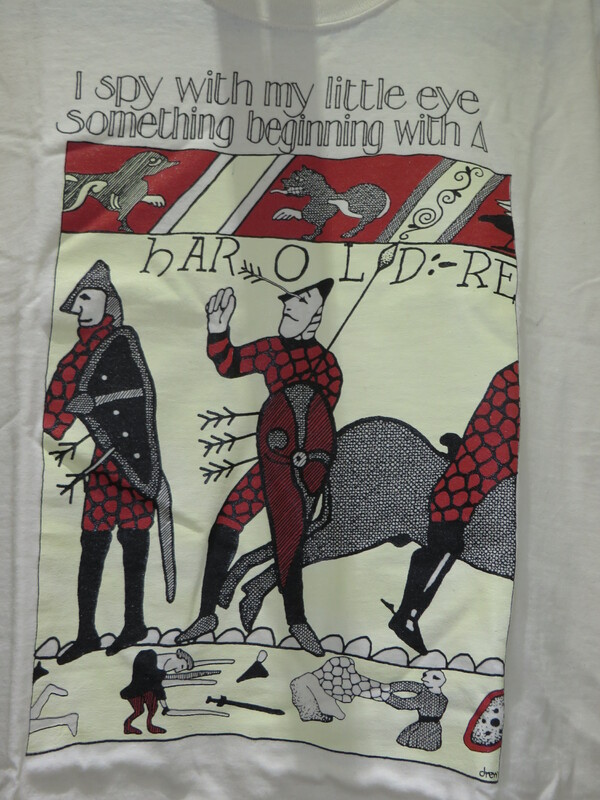 To whet your appetite, however, here’s a photo of an amazing tee shirt I found in Oxford. There’s a permanent covered market in that wonderful city, and in that market a tee shirt shop that I could have easily half emptied. Luckily sanity prevailed – I bought 2 shirts as gifts and 1 for me. This has to be the best historical in joke ever, I swear. I’m going to let it stand without comment, because I know you guys are pretty historically literate … but if you’d like an explanation let me know in comments and I shall oblige!